It’s already 7 December in Japan, and Sakurada Dori updated his blog at about 12.11am with a photo of himself with Kento, Kamiki and Mackenyu. He titled it “Happy birthday to me”. Mackenyu updated his instagram with the same photo at about 12.38am. 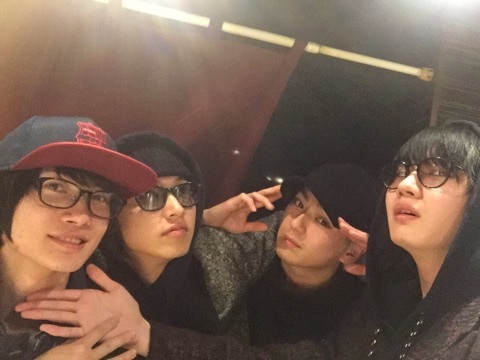 By the way, seems like these were the same four who were spotted together after Kento came back from Spain. Kento, Kamiki and Mackenyu were possibly together filming JoJo before meeting up with Sakurada ne.